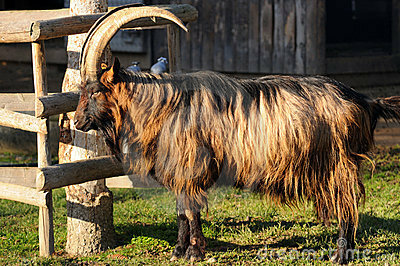 Goal of Breeding: The most important goal is the reintroduction and expansion of the Booted Goat in its original region of distribution. 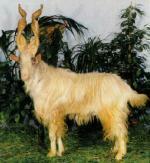 For securing its existence Booted Goat breeding groups are being maintained, also in the remainder of Switzerland. This goal is supposed to be reached (in correspondence with its original intent) through the use of the Booted Goat as an agriculturally useful animal for the production of milk (for milking or as mother nannies), meat and fleece. In place of this production goal, the use of the Booted Goat for putting fallow ground into production or for caring for the landscape can be the main breeding and domestication goals. In these cases, however, the use of the products should always play a role. The goal of breeding is supposed to be reached with natural methods and more extensive care. The conditions for care are supposed to correspond as much as possible to the natural living environment and the behavior of the goat.